The idea for Bigflip began in the late 1990’s when Rob was working for a large US training organisation – who supplied all trainers with printed black on white flip chart sets to help deliver their programmes. As a self employed consultant Rob thought this was a fantastic way of taking a professional and low cost training resource on the road. Easy to carry and no power source required, it seemed that everyone involved in training could benefit from having printed flip charts. After a couple of years we invested in print equipment, which enabled us to produce flip charts for training programmes and also for other training colleagues. In 2003, with further investment in more print equipment, we started producing our first commercial flip charts. 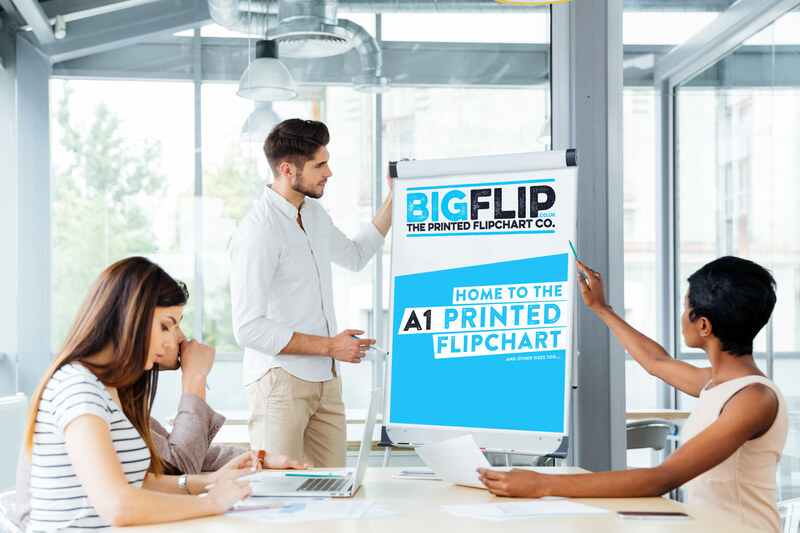 Since then Bigflip hasn't looked back and has produced printed flip charts for a large number of organisations, from large corporations to small independent training companies and individual facilitators. Although based in the UK we are able to ship globally and as a result have customers in many parts of the world including USA, Australia, Nigeria and Ireland to name a few. Our product range and scope has also expanded to include printed data flip charts for quality control purposes, financial flip charts, Customer Service Training flip sets and many more. We now produce laminated flip charts so they can be re-used and have a wipe and write surface. "In my humble opinion the power and impact of a printed flipchart has never diminished over the last 12 years despite the use of technology in teaching and learning, in fact they seem more popular now than when I started." With the launch of a brand new website we have also expanded our range of services to include pull up and pop up stands, a new design service and a wide range of bespoke printed resources to compliment your training programmes and other print goals. Please contact us if you wish to enquire about how we can help with your own specific requirements. We really look forward to working with you! Copyright © 2002-2019 Bigflip ltd. All rights reserved.